Submission is now open for the 2018 education fund! One $5000 will be awarded to promote collegiate level studies to a deserving United States veteran in the Toledo area. Please compose an essay relating to the following statement between 600-1000 words. Include your name and contact information at the top of your essay. Include your name and contact information at the top of your essay. 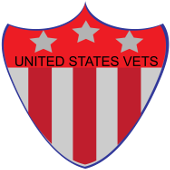 All submissions should be directed to United States Vets, Inc., Secretary/Treasurer Chris Cremean, 6117 Boothbay Drive, Toledo, OH 43615. Should you have any questions, or experience any problems, please email Leslie at Lclouden7@gmail.com. For a printable flyer to share, click here. For a printable version of the guidelines, click here. Submission deadline – 1 September 2018.